Microsoft announced that the console will come with three pre-installed games: Forza Horizon 3. Sea of Thieves and Minecraft, making the USD$250 (about NZD$ 370) price point quite the bargain when factoring in the individual cost of the games included. I was recently lucky enough to get my hands on the latest gadget from the smart folks at Sphero. The companies claim to fame is their app-controlled ball of the same name, but not content on resting on their laurels, Sphero has branched out into the fun world of music creation. Being a massive audiophile, I jumped at the opportunity to try out the Sphero Specdrums. After a brief demo, I was handed the rubber finger pads that attach snugly to your fingertips and allow you to sample beats by simply touching any colour on the spectrum (ah, now I understand the name!). Fingers at the ready, I loaded up one of the many samples available in the Specdrum app and jumped straight into tapping out some beats. The finger pads are incredibly responsive and pick up the tapped colour and play the corresponding sound immediately. 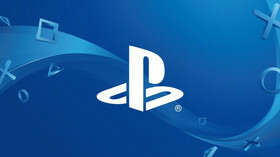 The first confirmed details for Sony's next console have been revealed by Mark Cerny in an interview with Wired. Cerny, who served as lead system architect for the PlayStation 4, has taken up the mantle again for Sony's next console and was quick to note that it would not see a 2019 release. The CPU is based on the third generation of AMD’s Ryzen line and contains eight cores of the company’s new 7nm Zen 2 microarchitecture. The GPU, a custom variant of Radeon’s Navi family, will support ray tracing, a technique that models the travel of light to simulate complex interactions in 3D environments. While ray tracing is a staple of Hollywood visual effects and is beginning to worm its way into high-end processors and Nvidia's recently announced RTX line, no game console has been able to manage it. Yet. The specs for this system mean support for 8K graphics, while ray tracing would offer implementation in sound design for games in addition to visual spectacles. NEWS A Movie? A Game? ...an appropriately-toned Christmas Special? NEWS DLC, Save Files & Purchases might be lost. NEWS Time to start saving? NEWS "We don't see the value in tearing down one another"
NEWS Pow, pow puppy chow! NEWS Please don't be an April Fools joke. NEWS What dreams will come? NEWS Is it finally time for a Cyberpunk 2077 release date too? NEWS Brutal new action and a delicious release date.